This fire started in a chemical storage area adjacent to Courthouse Square, and was blamed on improperly stored chemicals rather than arson. 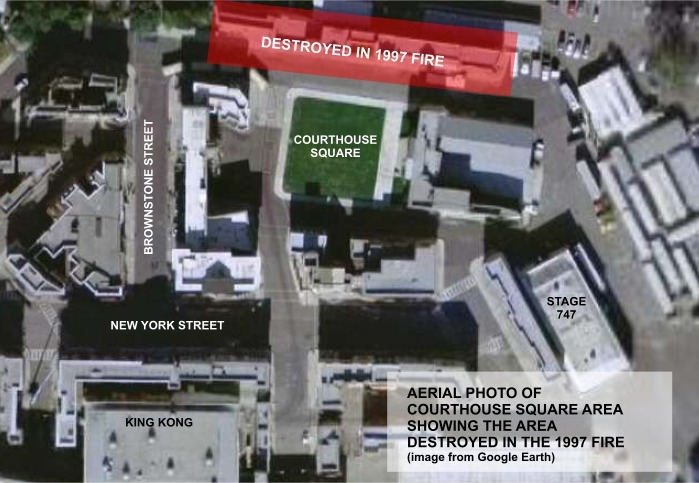 The northern side of Courthouse Square was destroyed, but the Courthouse itself was spared (again - see 1990 fire and 2008 fire ) apart from some charring. The sets that were destroyed were rebuilt immediately to the same designs. See aerial photo below for details of the area destroyed in the fire. 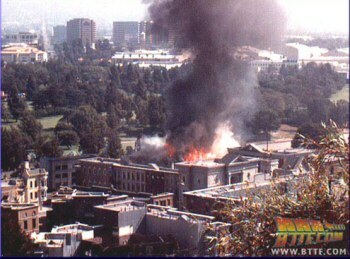 Photo of the 1997 fire at it's height. 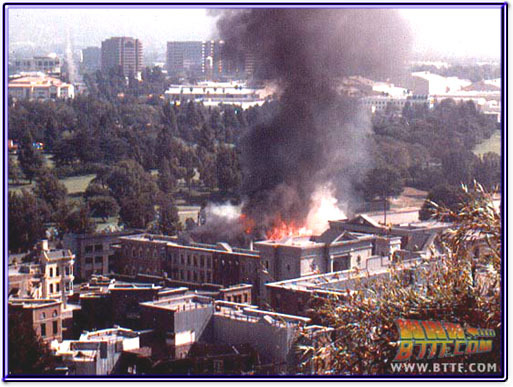 From www.bttf.com.